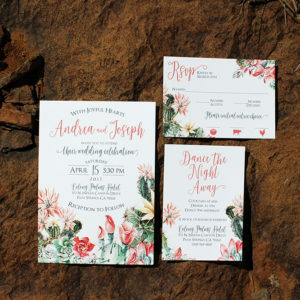 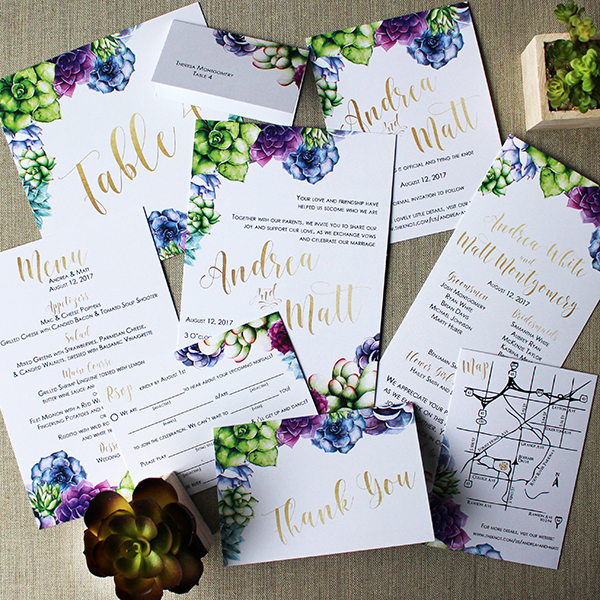 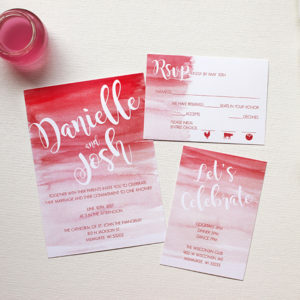 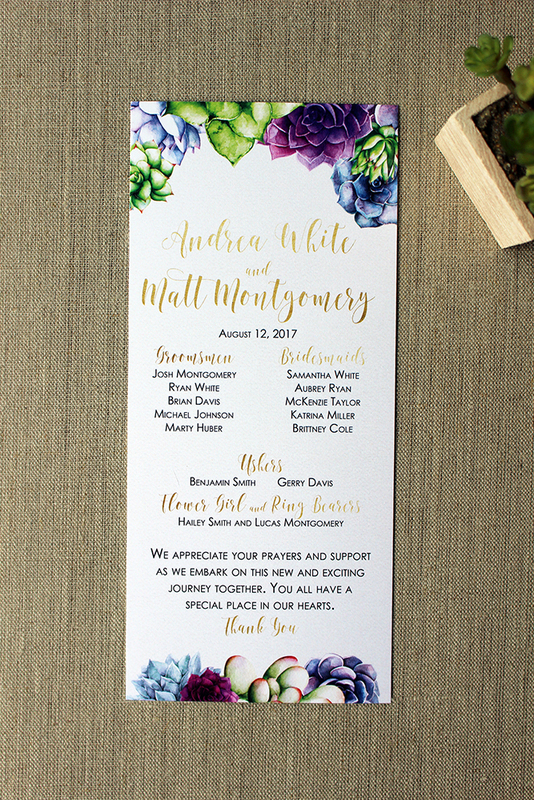 Want to bring some nature into your invitations but don’t want floral? 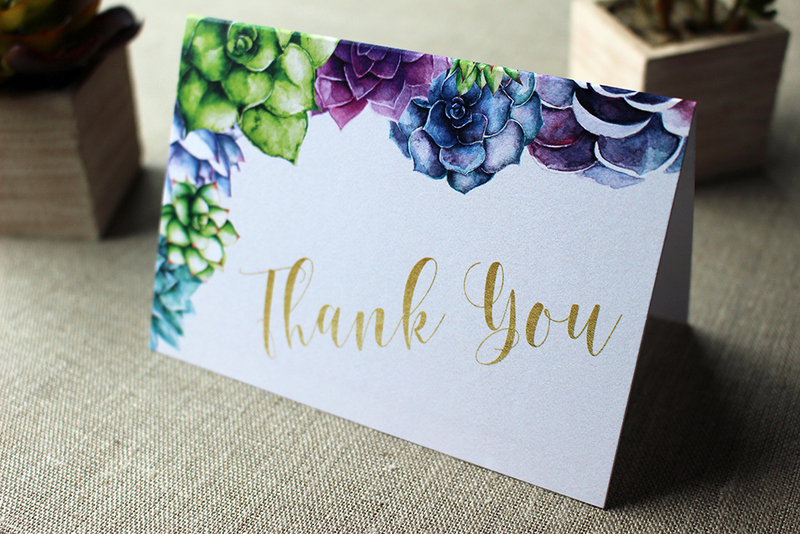 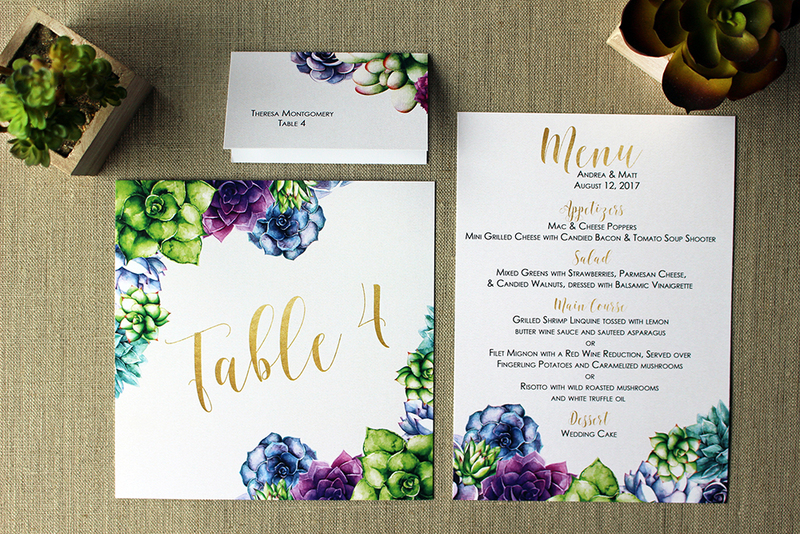 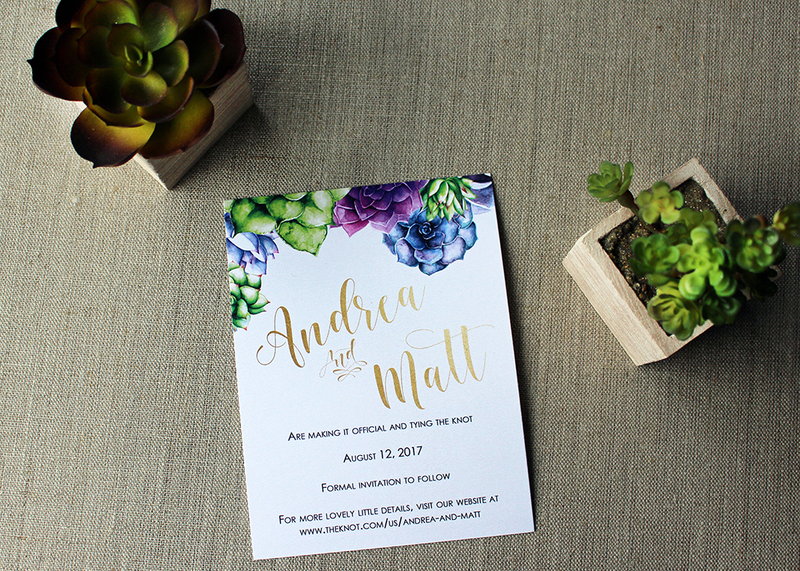 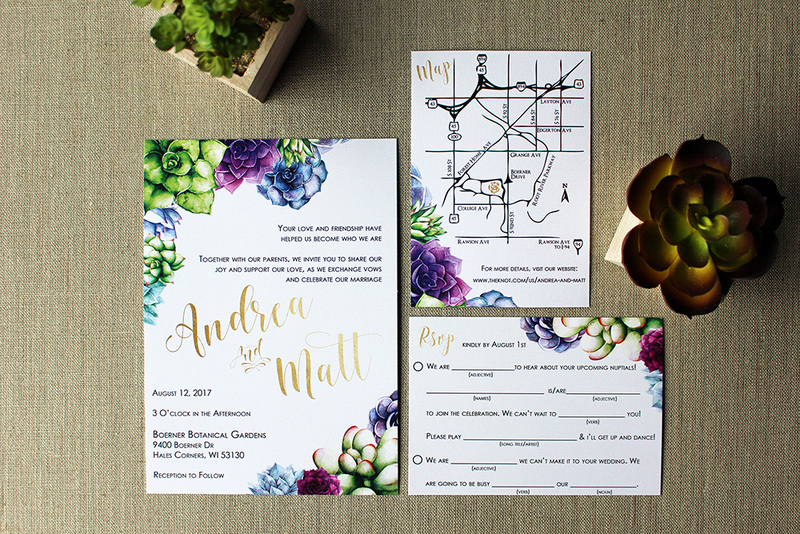 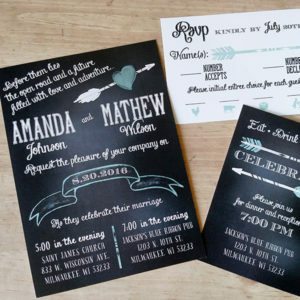 These succulent wedding invitations are perfect for that or if you are having a succulent themed wedding! 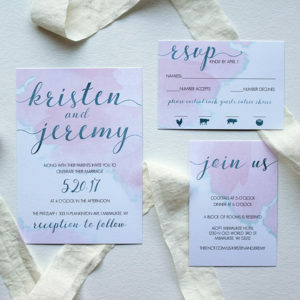 The colors in this design can be modified to fit your needs.